THE latest publication of the International Monetary Fund’s World Economic Outlook projects growth in GDP of 1.7 per cent for Jamaica in 2019. The projection comes as the report anticipates a reduction in growth this year for 70 per cent of the world economy. Growth in the global economy which was 3.6 per cent in 2018 is expected to decrease to 3.3 per cent in 2019 but should pick up in the second half of the year. The report further projects growth for Jamaica to increase to 1.9 per cent in 2020 and 2.4 per cent in 2024. The 2019 projection is in line with a recent assessment from the Caribbean Development Bank (CDB) which expected 1.7 per cent growth for the financial year 2018-19. The projected figures are an improvement over the past three years as the World Economic Outlook report shows growth in Jamaica was 1.5 per cent in 2016, 0.7 per cent in 2017 and 1.4 per cent in 2018. This statement comes only days after Jamaica’s finance minister Dr Nigel Clarke stressed the necessity for greater local investments to maintain Jamaica’s economic growth. The minister was speaking at the Destination Experience Masters of Industry Reception held at the Mercedes Benz showroom in Kingston on April 5. He revealed that policies designed to “encourage and incentivise greater levels of domestic and foreign investment” were being implemented by the government to stabilise the economy. “We believe that the environment today and the policy choices we have made will encourage domestic investment to be unleashed in Jamaica in ways that it hasn’t in a long period of time,” he stated. The finance minister stressed the necessity for greater “value-added” in output and production which he believes can take place in the tourism industry through “backward integration” and in the manufacturing sector through allowing more manufacturing businesses to be established in Jamaica. “We are seeing firms from the region establish manufacturing companies in Jamaica to access the northern markets; that’s something that never happened before,” the finance minister revealed. He also called for greater efficiency in the economy which can be achieved by addressing associated cost factors. Increasing worker productivity through training was another pathway he identified for greater efficiency to support growth. 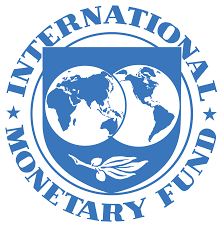 The IMF notes that while the growth of the global economy continues to be reasonable despite the current decline, there are a number of downside risks including tensions in trade policy, Brexit-related hazards, potential deterioration in market sentiment and unexpected growth on the downside in China and the Euro area that could take place.